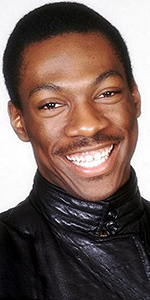 Eddie Murphy, unknown date. Pretty young, we'd say. Eddie Murphy is a movie star. After starting in television, he broke free and became so popular, that he has been headlining in feature films ever since. Blessed with a distinctive voice, Murphy has turned in some very funny performances, both onscreen and in animation. Murphy's mother was a telephone operator, while his father was a transit policeman. Divorcing when young Eddie was three, his father died in a fracas with a jealous woman when Eddie was nine. With his mother Lillian falling ill, Eddie and his brother lived for a year in foster homes. Later, the boys were living with Lillian and her new husband in Roosevelt, New York. By age 15, Murphy was working on his comedy routines. Murphy joined the cast of Saturday Night Live, aired over NBC for 62 episodes, starting in November, 1980, and ending in April, 1984, He is widely credited with revitalizing the show. 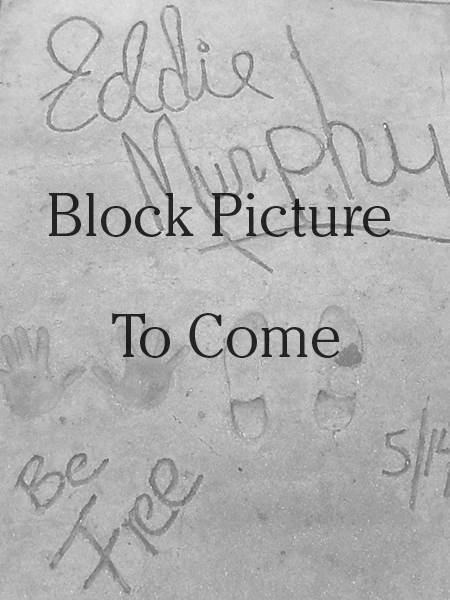 His first album of recorded material, Eddie Murphy, was released in November, 1982 on Columbia Records. As with other SNL figures, the big screen beckoned. Producers Joel Silvers and Lawrence Gordon placed Murphy in a cop action movie, 48 Hrs. (released in December, 1982), with Nick Nolte. The film was a hit, with Murphy doing no wrong as far as Paramount Pictures management was concerned. The next summer saw Murphy star with former SNL comic Dan Aykroyd in Trading Places (released in June, 1983), also starring Jamie Lee Curtis. The next Christmas brought Beverly Hills Cop (which played the Chinese in December, 1984), which became a world-wide smash. Coming to America (which played the Chinese in June 1988), was another considerable hit, allowing Murphy to leap into the director's chair for his period film Harlem Nights (which played the Chinese in December, 1989), co-starring with Murphy's idol, Richard Pryor. Another 48 Hrs. (which played the Chinese in June, 1990), made more money than the first one, while the rom-com Boomerang (released in July, 1992), did well also. His first film for Disney, The Distinguished Gentleman (released in December, 1992), was a stand-up double, as was Beverly Hills Cop III (which played the Chinese in May, 1994). His Vampire in Brooklyn (which played the Chinese in October, 1995), flopped, but Murphy's remake of the Jerry Lewis classic The Nutty Professor (released in June, 1996), sure didn't. Hangin' with the Disney people, Murphy did the voice of the tiny dragon Mushu, who protects Mulan (released in June, 1998). He starred in a remake of Doctor Doolittle (released in June, 1998), which did not at all flop like the original with Rex Harrison. After co-starring with Steve Martin in Bowfinger (released in August, 1999), Murphy provided the voice for Donkey in Shrek (which played the Chinese in May, 2001), becoming by far and away his biggest box-office hit so far. The PJs aired over the Fox, and later, WB Networks, beginning in January, 1999, co-starred with Robert De Niro in Showtime (released in March, 2002), and took over for Bill Cosby in the feature remake of I Spy (released in November, 2002), with Owen Wilson taking over for Robert Culp. Returning to Disney, Murphy headlined their film of The Haunted Mansion (released in November, 2003), widely considered a flop, but it did OK, actually. Doing the Donkey voice again for Shrek 2 (released in May, 2004), became his biggest money-maker ever. Dreamgirls (released in December, 2006), with Beyoncé, did well, and Murphy as Donkey in Shrek the Third (released in May, 2007), couldn't miss — it didn't. Tower Heist (released in November, 2011), with Ben Stiller, snuck by, while A Thousand Words (released in March, 2012), flopped. The modestly-budgeted Mr. Church (released in September, 2016), with Britt Robertson, marks perhaps the first more-drama-than-comedy role for Murphy. Mann's Chinese Theatre, Hollywood, California. 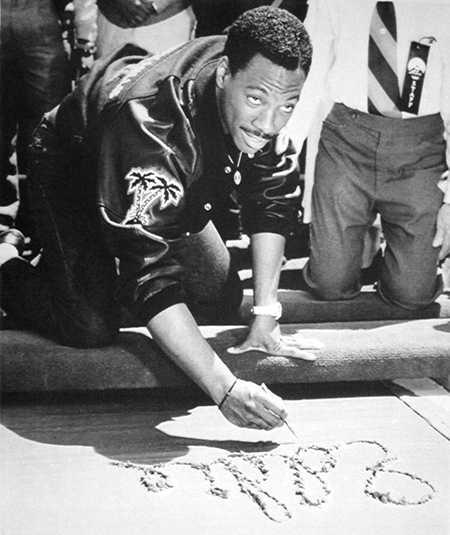 Eddie Murphy Forecourt ceremony, Thursday, May 14, 1987.Eddie Murphy looks up while signing his signature in the cement.